May Day may not be as recognized as Labour Day, but it is an important day in Labour history – and an important day to get out and march for workers rights in the future! It’s easy to make May Day pin-back buttons with your Badgeaminit button maker. Make a May Day button a minute! Take the power away from the sweatshops, which are unfortunately usually in control of the button making businesses (and most business creating clothing and accessories), by doing DIY buttons! 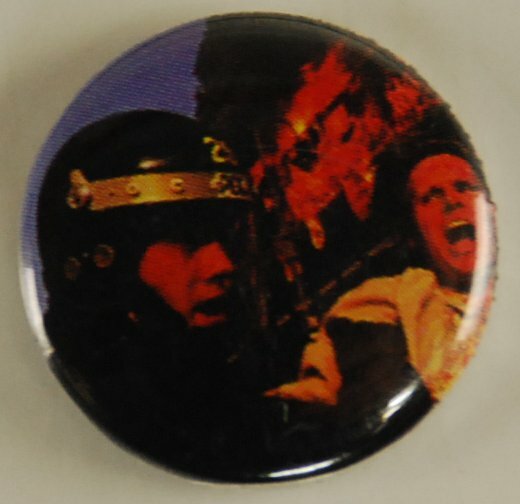 Badgeaminit is an inexpensive way to make protest buttons for May Day or any other day. Get your button maker here. This entry was posted in Badge-A-Minit and tagged Badge-A-Minit, badge-a-minute, BadgeAminit, Badgeaminute on April 30, 2013 by Barry Badge. Lego, like buttons, can be made into almost anything! What is the most creative thing you have made out of Lego or a button. Have you ever made a Lego button? I wonder if anyone has tried making a button out of Lego?! This entry was posted in Badge-A-Minit, kids and tagged Badge-A-Minit, badge-a-minute, BadgeAminit, Badgeaminute, kids, Lego on April 23, 2013 by Barry Badge. Some Earth Day buttons. Show you care with environmental buttons! Get your Earth Day and Environmental buttons here! This entry was posted in Badge-A-Minit and tagged Badge-A-Minit, badge-a-minute, BadgeAminit, Badgeaminute, environmental on April 22, 2013 by Barry Badge. A couple months may seem like a long time, but that is only 8 weeks or 56 days! This LGBT button is a good way to remind people that Pride is almost here. 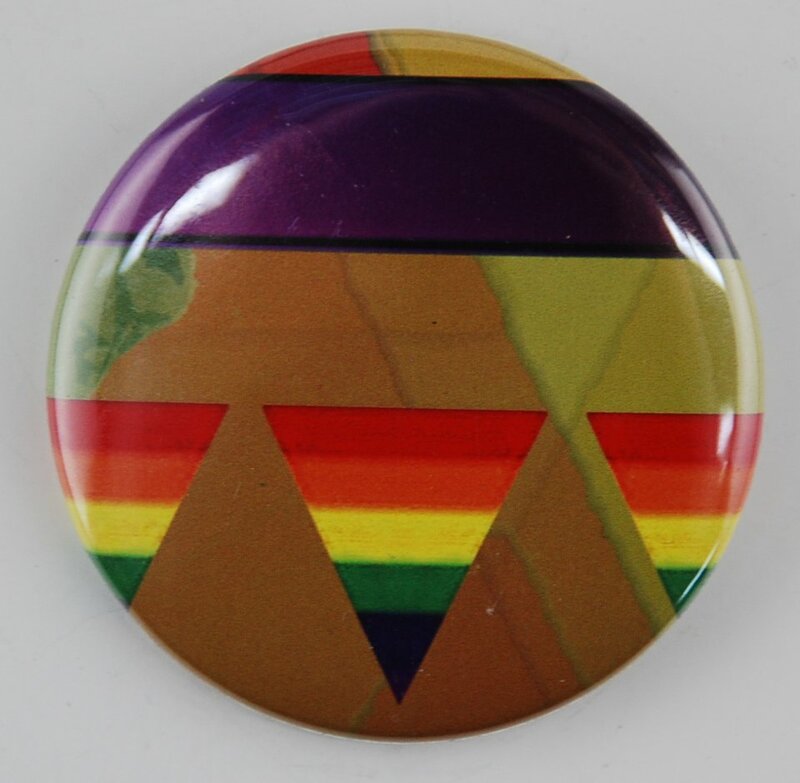 Celebrate Pride with a pride button. Pin-back buttons are a perfect addition to any outfit, assuming you are wearing anything! How are you planning on celebrating Pride? If you don’t know, you still have 1344 hours to figure out! This entry was posted in Badge-A-Minit and tagged Badge-A-Minit, badge-a-minute, BadgeAminit, Badgeaminute, LGBT on April 19, 2013 by Barry Badge. Canada is the site for police brutality, despite misconceptions about our country being a “peaceful” or “safe” place. This pin-back button is a good example of the bad actions of state authorities. A police brutality button is a way to show something that is difficult to discuss. Want to make buttons for a protest or other political event? Badgeaminit button makers are an economical way to get started! This entry was posted in Badge-A-Minit and tagged Badge-A-Minit, badge-a-minute, BadgeAminit, Badgeaminute, political on April 17, 2013 by Barry Badge. Suicide is a heavy topic, but it is important to raise awareness. Buttons are a good way to start conversations. 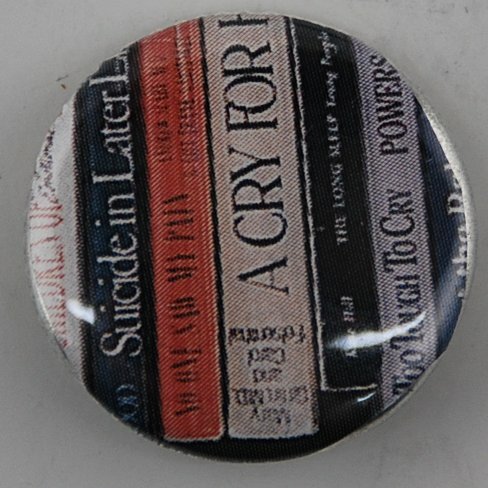 Pin-back button showing some books about suicide. Photo buttons are a good way to frame stuff you want to show, and can go almost anywhere. Suicide is something that needs to be in the open, and buttons can be a good start to raising awareness. Prevent Suicide Buttons. 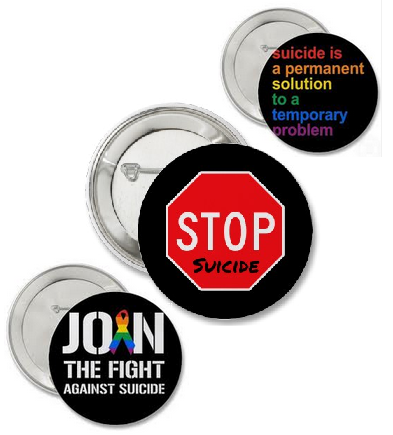 These pinback buttons read “STOP Suicide”, “Join the fight against suicide” and “Suicide is a permanent solution to a temporary problem” . The LGBT buttons reach out to those who are at higher risk of contemplating and attempting suicide. If you are having thoughts about suicide, please reach out for help. This entry was posted in Badge-A-Minit and tagged Badge-A-Minit, badge-a-minute, BadgeAminit, Badgeaminute on April 16, 2013 by Barry Badge. It’s becoming warmer out, and what better way to work out than riding a bicycle? It’s more fun than riding the stationary at the gym, and costs less than taking the bus. Put a pin-back bicycle button on your coat (which you hopefully won’t need for much longer!) You can put a pinback button almost anywhere other than your helmet. Once you’re done working out your legs, you can give your arms a workout with your Badgeaminit! 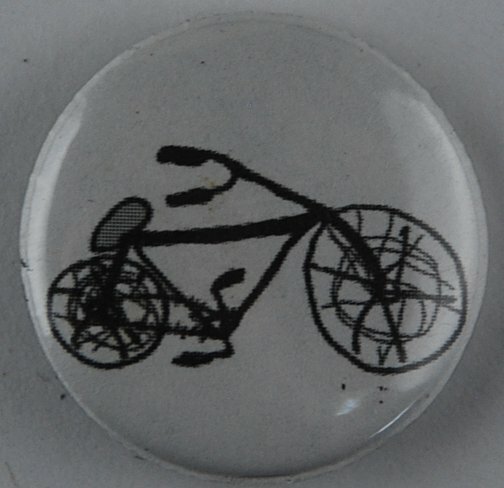 This entry was posted in Badge-A-Minit and tagged Badge-A-Minit, badge-a-minute, BadgeAminit, Badgeaminute, bicycle on April 15, 2013 by Barry Badge. The weekend after this one will be very weedy for some people. And not because they are going to be weeding their garden! 420 refers – not reefers! – to the time 4:20, which is known in some circles to be a time for smoking marijuana. On the day of the year which corresponds to the time – the 20th day of April, the 4th month – people come together to celebrate. 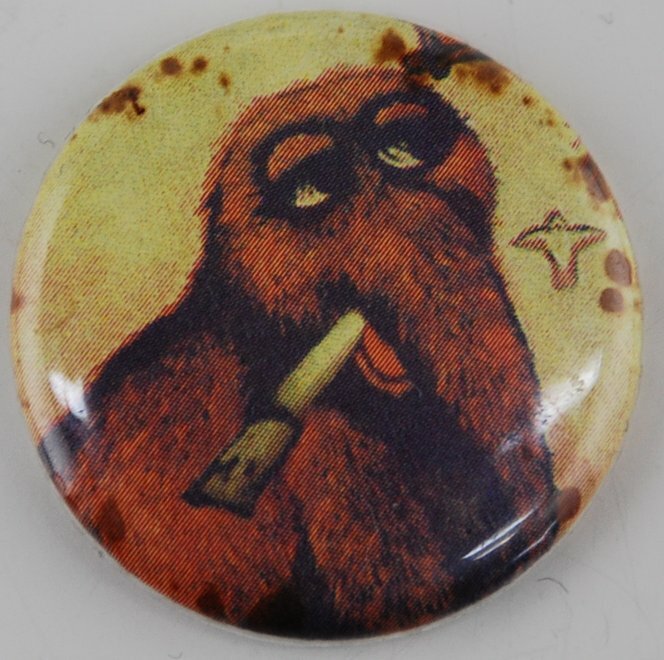 This weed pin-back button shows Snuffy, Big Bird’s imaginary friend from Sesame Street, smoking a joint. 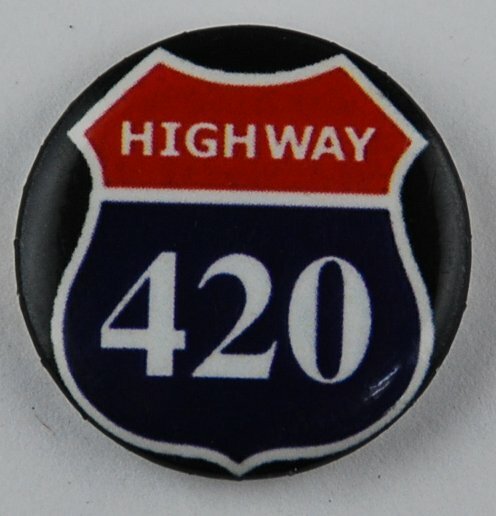 This 420 pinback button is for a highway which actually exists. It’s in Southern Ontario and connects to the Rainbow Bridge. This entry was posted in Badge-A-Minit and tagged Badge-A-Minit, badge-a-minute, BadgeAminit, Badgeaminute, drugs on April 12, 2013 by Barry Badge. Steampunk is a new take on an old form of fashion from the late 1800s. Here are a couple steampunk buttons. 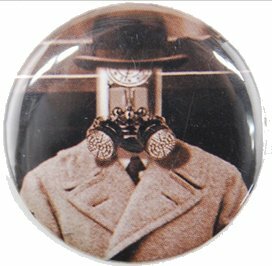 A steampunk button of two things every fan needs – a nice hat and a clock. 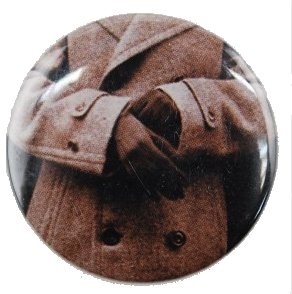 A pin-back button of a warm wool coat – perfect for time travelling in all sorts of different weather! The septa tone gives this pinback button an old appearance. Before you go travelling to a time where they don’t have a button maker, you might want to get one. The Badgeaminit is perfect for even the smallest time machine. Get your Badgeaminit button maker here! This entry was posted in Badge-A-Minit and tagged Badge-A-Minit, badge-a-minute, BadgeAminit, Badgeaminute, steampunk on April 10, 2013 by Barry Badge. Here is an interesting example of photo buttons, using two similar images of the same subject. This photo button shows an extreme close up shot of someones lips. 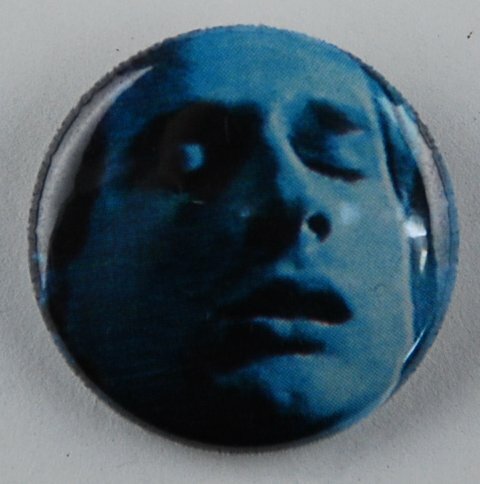 I wouldn’t recommend pinning a pinback button on your lips, but they’re perfect almost anywhere else! 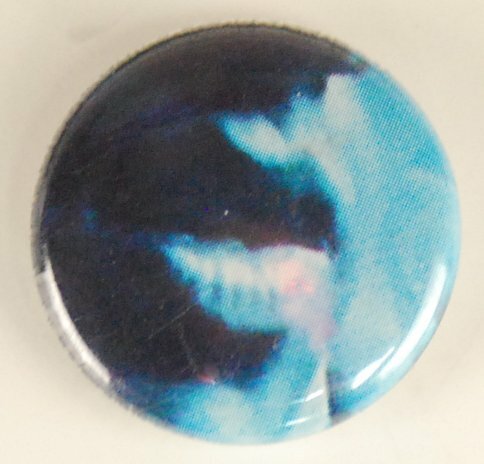 This pin-back button shows a shot of the entire face. These buttons were made from advertisements in a local magazine. You can find inspiration for buttons all over! This entry was posted in Badge-A-Minit and tagged Badge-A-Minit, badge-a-minute, BadgeAminit, Badgeaminute on April 9, 2013 by Barry Badge.